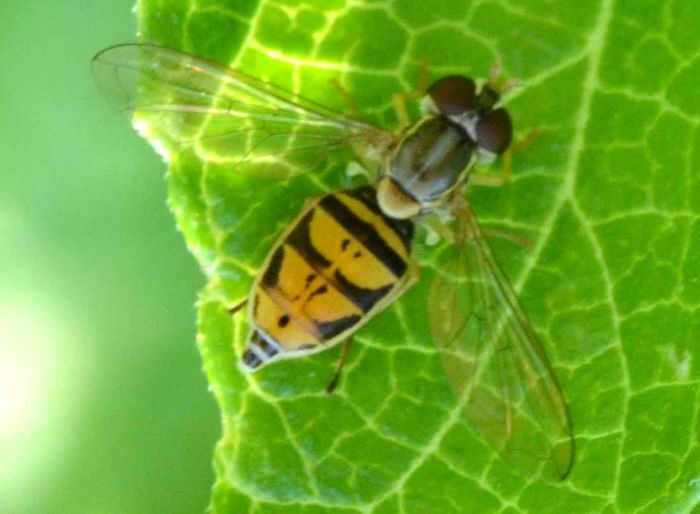 Toxomerus marginatus (Small Syrphid Fly (nonspecific)) ♀. Size: approx. 5 mm. Photo: 08/05/11, 5 pm. 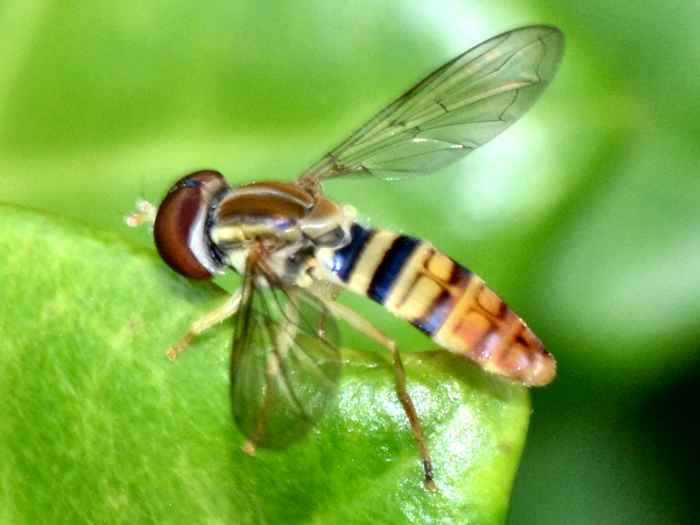 This very small hoverfly (Toxomerus marginatus) is quite common and often found visiting flowers of herbaceous plants. 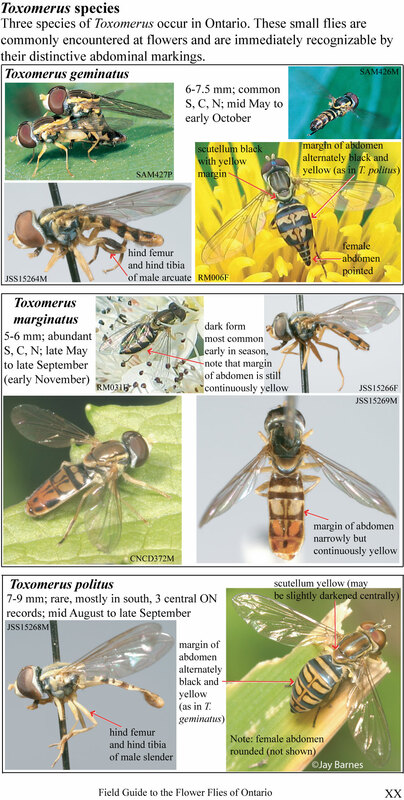 Since the larvae are predators of aphids, Toxomerus species are considered beneficial insects. The tip of the abdomen is pointed (rounded) in female (male). Hence, this must be a female. To my eyes the fly had a reddish glow. Size: approx. 7-8 mm. Photo: 08/25/11, 5 pm. 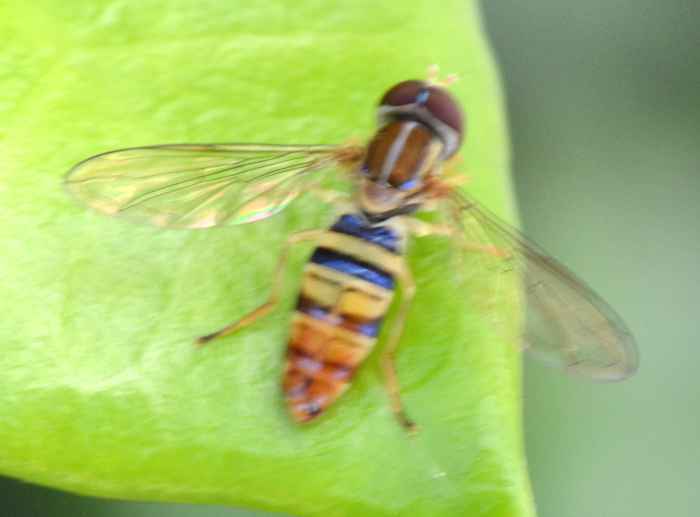 This Syrphid Fly belongs to the genus Toxomerus and might well be T. politus. However, there are numerous species in Florida and the reliable identification is difficult or impossible from typical photos. T. politus is much less common than T. marginatus and T. geminatus.